Who says we must look good only on Valentine's Day? Because for me, February is especially SPECIAL (Valentines Day and Birthday), I enjoyed creating simple looks using ONE brand! 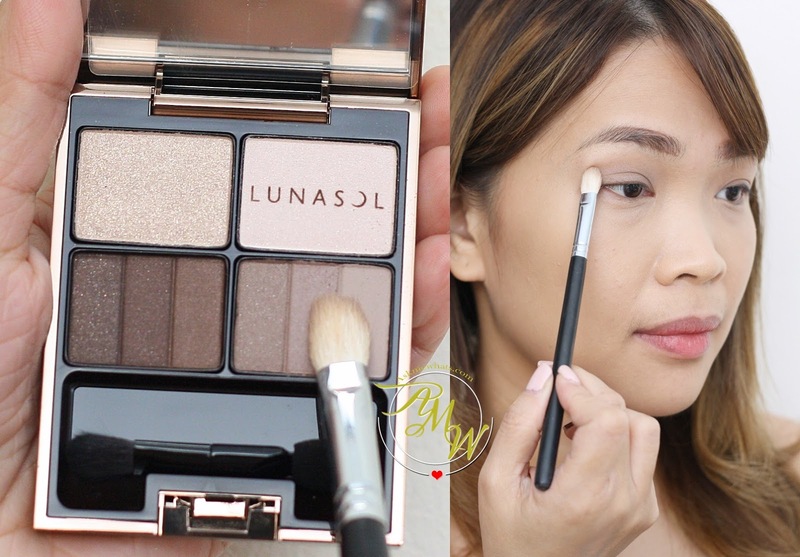 Inspired by my new makeup from Lunasol, I am inspired to create a simple, clean and very "Nikki" look. I have shared my love for Lunasol brand years and years ago! And thankfully, the brand is available locally because I dislike shopping for makeup online knowing I can easily find brands/products I want to review or use locally today. Don't you just love the sleek, copper-like packaging? I smile (seriously smile) each time I reach out for Lunasol Makeup. For this particular collection, there are a total of 4 eyeshadow palettes to choose from --- 01 Smoky Beige, 02 Smoky Monotone, 04 is Smoky Violet. I am so glad to own this palette because this (and 01) is the perfect palette for daily use! Especially for those who have Asian eyes (monolid, droopy lid, etc..) this palette is subtle in colors but "vavavoom" in effect! I like the combination of matte and shimmery shades. The matte shades are the perfect color to "deepen or contour" the eyes (even for nose). As for application, this is just ONE of the many ways I use the palette. to start with the simple eyeshadow look, I pick both matte colors from the lower right side of the palette and gently apply all over lid going a bit beyond the crease. These shades are my "contour shades for the eyes". Now using the tip of the blending brush, I pick the darkest shades from the lower left hand side of the palette. Don't worry about mixing and matching 2-3 shades because that will make the effect more natural and unique! Now back to the darkest shade, I deepen my crease by applying this gently on the outer-V of my lid. Use a separate and clean blending brush to gently blend everything. Using the sponge-tip applicator that comes with the palette, I also apply the same shades on the lower lashline. Using the brush side, pick the lightest shade to "highlight" certain areas around your eyes. My favorite is the inner corners of my eyes because it tends to look dark and gloomy there. I got 02 Natural and originally thought this is just a regular loose powder. 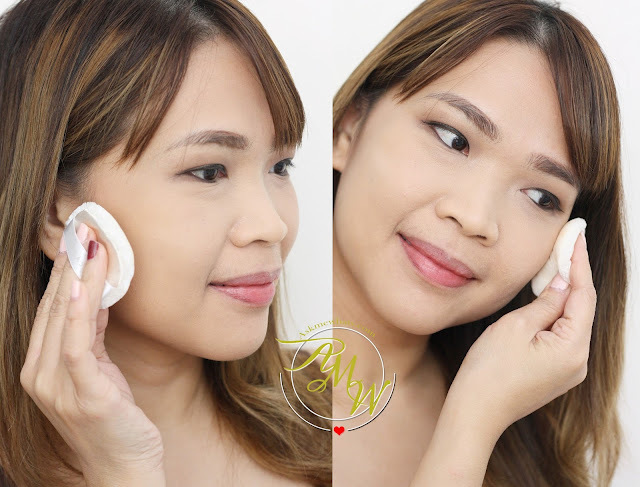 Thankfully, I gave complete faith to this loose foundation because I actually didn't use any foundation or BB cream underneath for this tutorial. This is an airy translucent powder that surprisingly gives light to medium coverage. What is amazing about this product aside from the powder itself? THE PUFF! The puff is extremely soft, very relaxing to skin on EVERY application! I can never use this fine-milled powder without the puff --- they are just married to each other. The packaging is no exception, I like that I don't need to sift out the product to the cap, instead, I only need to press the "net" and product will be transferred from the pot to the puff. My skin looks extremely soft and poreless. The powder is like a translucent veil that covers minor imperfections. 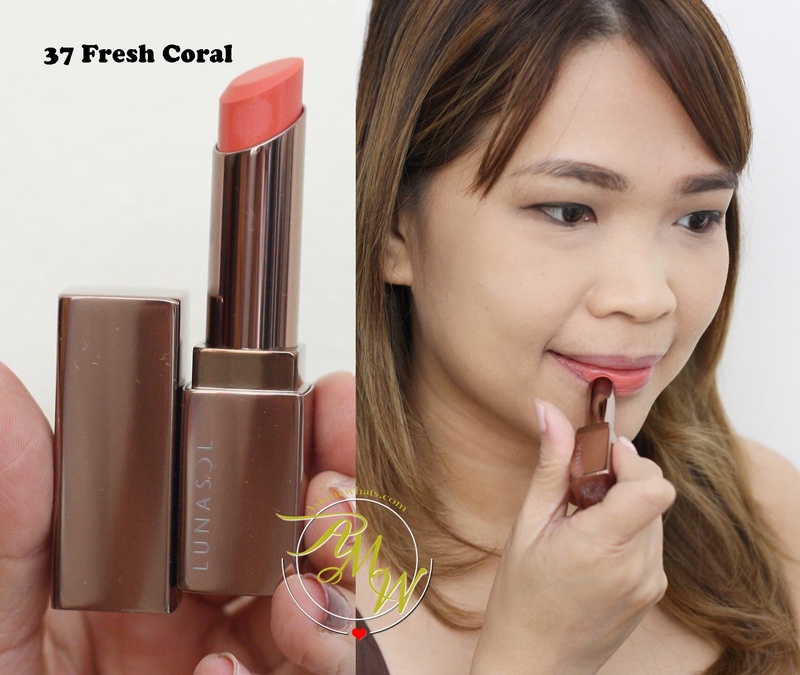 Lunasol never fails in giving my dry lips some pampering whenever I use their lip products! They just UNDERSTAND how a dry-lipped individual would feel wearing lipstick thus creating a lip product that glides on smoothly with a light texture, adheres to the lips without enhancing lip lines. Thankfully, I do not need to use a separate lip brush for application because the texture is so buttery I'd rather apply this straight from tube to lips. Pigmentation of Fresh Coral is really good, in just one swipe, I get a good coverage and it can actually cover my lip pigmentation. 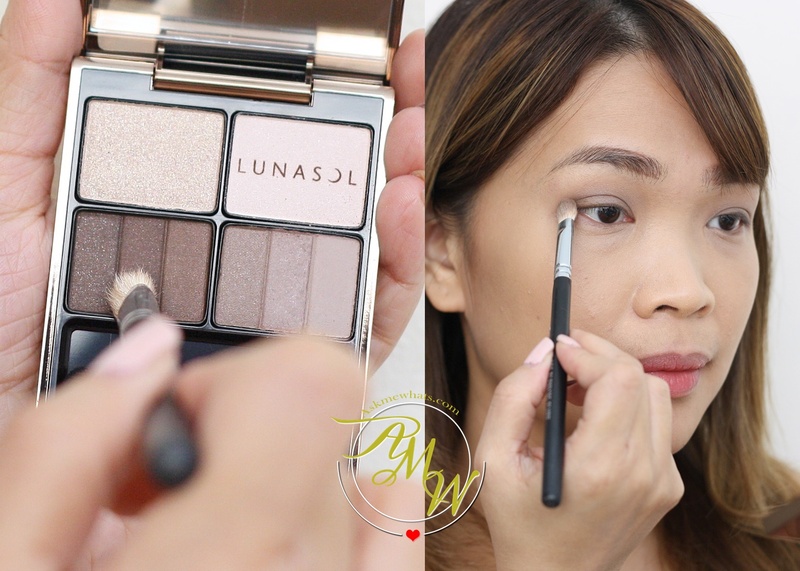 What I love about the Lunasol eyeshadow is that, it blends so smoothly you won't see any harsh lines. This is what I would wear on a date ANYTIME of the day! I did a gradient red lip for a change.